Do you own a PathScan Enabler? If you do, it’s worth $1,500.00 towards the purchase of any uScope! Call 281-579-0342 for details! The affordable uSCOPE HXII digital microscope slide scanner lets you browse and scan standard glass slides using high-NA, infinity objectives. The low cost HXII produces high-quality images at a fraction of the cost of other scanners. This digital workhorse whole slide imager offers unprecedented capability in an ultra small form factor ideal for desktop PC users. A little larger than an external hard drive, the uSCOPE HXII delivers high-resolution digital images from standard and not so standard glass slides. Because of its size, the uSCOPE HXII is highly portable. The industry-standard USB interface makes it easy to plug in and start capturing images at work or on the road. It easily interfaces with standard desktop or laptop PCs and allows you to view and capture slide images in a wide variety of environments. Save regions of interest or the entire sample in BMP or JPEG format. 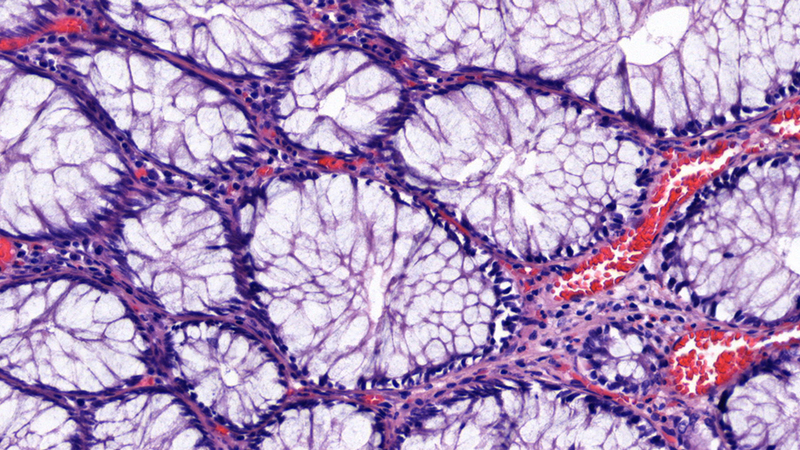 Makes microscope image stitching easier than ever before! So easy to use and so inexpensive to own! The uSCOPE Navigator software simplifies capturing an area of interest from your glass slides. Single or multiple images can be scanned. You can even create and apply your own multi-step image processing profiles to change image sharpness, improve contrast, or perform gamma correction. The uSCOPE HXII is so easy to use, all your friends will want to borrow it. Most digital microscopes are shared between many researchers. That’s not the case with the uSCOPE HXII. The uSCOPE HXII is designed and priced for the individual user. The uSCOPE HXII is a self-contained digital microscope. All the electronics, cameras, stage, and optics are contained in a device about the size of an external disk drive. The only thing you need is a laptop or desktop computer. Using a 20X / 0.65 NA Plan Apochromatic Objective, the uSCOPE HXII delivers high-quality, brightfield images at near wavelength-limited resolution. The high-power objective brings your slide images up close and personal. Achieve magnifications up to 650x! The uSCOPE HXII is designed to be small, lightweight, and portable. It’s small enough to fit inside most brief cases. As if working at the lab wasn’t enough, now you can take your life-saving research home. The uSCOPE HXII is very tolerant of typical office and lab environments. Special, weighted tables are not required to capture clear, vibration-free images. Users can easily setup and install the uSCOPE HXII without a team of IT specialists. 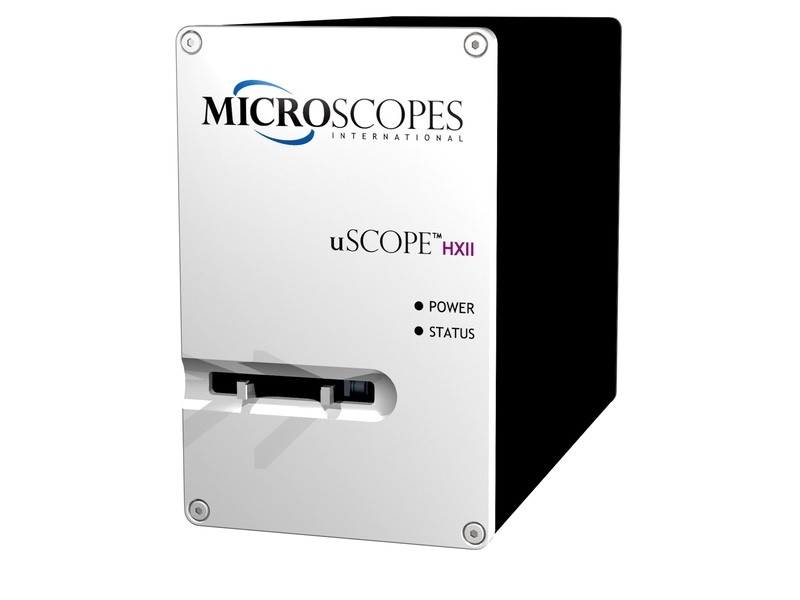 Most users can take the uSCOPE HXII from the box to viewing slides in under 10 minutes. Special file servers, network interfaces, and ultra high-performance desktop computers are not required. The uSCOPE HXII provides industry-standard image formats that can be used with cloud-based computing services. The .Net compatible API allows developers direct hardware control of the uSCOPE HXII. In addition, the API provides support for a variety of image enhancement filters. Developers can use the API to integrate support for the uSCOPE HXII into existing analysis or imaging tools. The uSCOPE HXII-20 digital microscope whole slide imager (WSI) comes with a 20x/0.65 NA ∞ Plan Apochromatic objective. This model is suited to applications where very high depth of field and high NA are required. The uSCOPE HXII-20 has a wider depth of field than higher power models of the uSCOPE HXII. 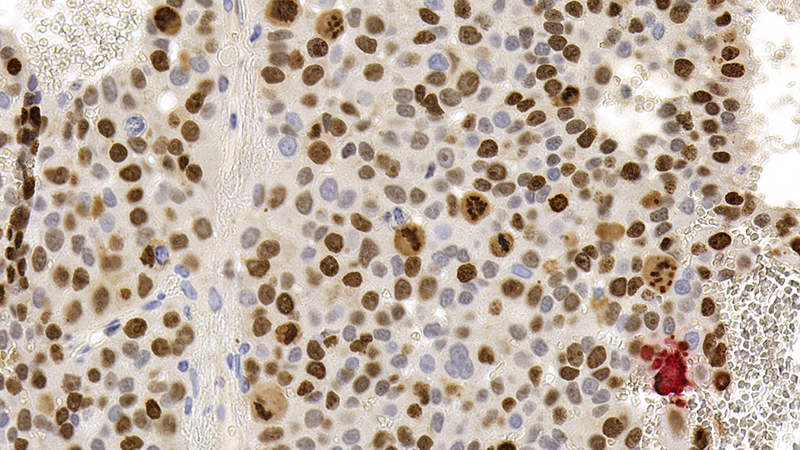 So, tissue samples and smears can be thicker with more of the image in focus. This unit is able to produce very high-quality images while browsing or scanning an area of interest. Because of its size, the uSCOPE HXII is highly portable. The industry-standard USB interface makes it easy to plug in and start capturing images at work or on the road. It easily interfaces with standard desktop or laptop PCs and allows you to view and capture slide images in a wide variety of environments. Complete, rugged, portable, digital microscope slide scanner for your application! The uSCOPE HXII digital microscope is a single unit that can browse or scan your prepared glass slides. It is completely self-contained and requires only a desktop or laptop Windows PC to scan or browse slides. The uSCOPE Navigator application software enables you to easily capture single images or scan areas of interest. The uSCOPE HXII-40 digital microscope whole slide imager (WSI) comes with a 40x/0.80 NA ∞ Pan Apochromatic objective. This model is suited to applications where very high resolution and good edge definition are required. 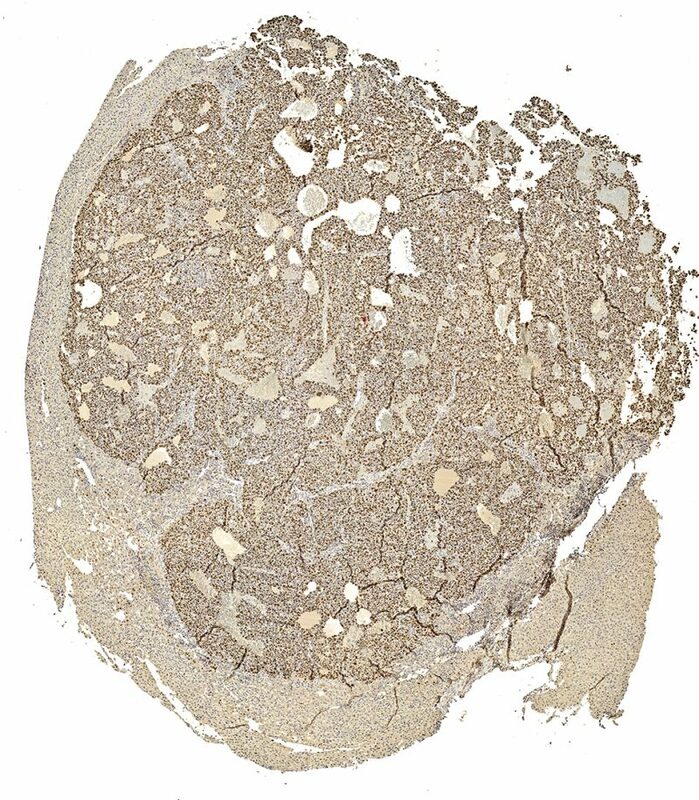 The uSCOPE HXII-40 has a good depth of field that makes it suitable for tissue samples and smears that are moderately thick, although flatter samples and smears autofocus and scan faster. This unit is able to produce very high-quality images while browsing or scanning an area of interest. Does the uSCOPE HXII have eyepieces? No. The uSCOPE HXII is an all digital automated brightfield microscope. Does the uSCOPE HXII use standard objectives? Yes. Standard infinity objectives are used in the uSCOPE HXII. How many objectives are in the uSCOPE HXII? At this time, only one objective is possible in the uSCOPE HXII. What resolution is the uSCOPE HXII? The uSCOPE HXII is wavelength-limited. Image resolution is governed by the wavelength of the visible light utilized. Objects as small as 0.5 microns can be resolved. Does the uSCOPEHXII have a manual or motion-control stage? The uSCOPE HXII is an automated digital microscope and includes a motion-control stage. The uScope Navigator software automatically moves to your area of interest to collect images or to scan tile sets. Does the uSCOPE HXII require a computer? Yes. The uSCOPE HXII requires a desktop or laptop computer and the accompanying uSCOPE Navigator software. Is the uSCOPE HXII a whole slide scanner? The uSCOPE HXII is not considered to be a whole slide scanner but is suitable for scanning large areas of your slide. Does the uSCOPE HXII stitch images? Yes. Image stitching is available at your discretion. How fast is the uSCOPE HXII? Meyer Instruments, Inc. is an authorized Distributor/Reseller for Microscopes International, LLC.